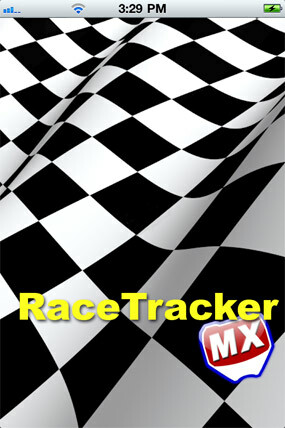 Race Tracker MX is a iPhone/iPodTouch app for motocross racers. 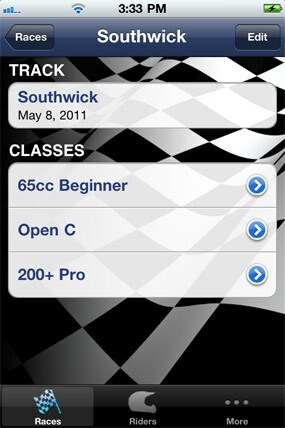 With Race Tracker MX you can save lap times and bike settings for multiple riders in the same practice or race. 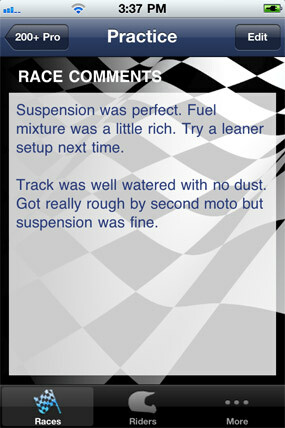 Later you can optimize your bike setup by reviewing previous lap times, bike settings and race results. 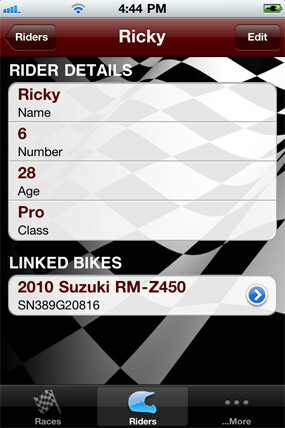 Race Tracker MX allows you to record bike settings for; front end, rear end, motor, fuel system, and custom modifications for each bike. 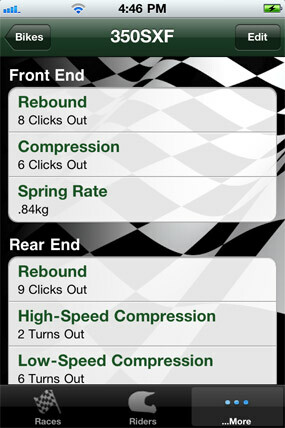 Use the included stock settings or delete those and add an unlimited number of your own custom parameters. 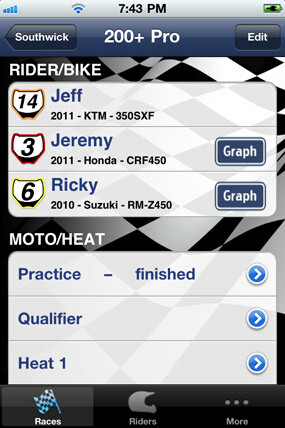 Race Tracker MX saves your current bike settings and lap times at the end of each moto or heat you race in. 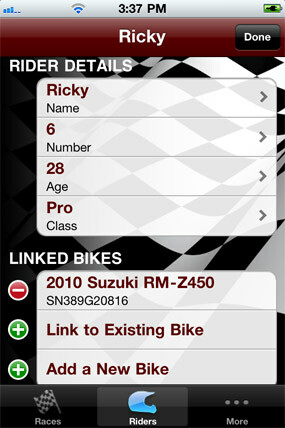 Race Tracker MX stores an unlimited number of riders on multiple bikes. 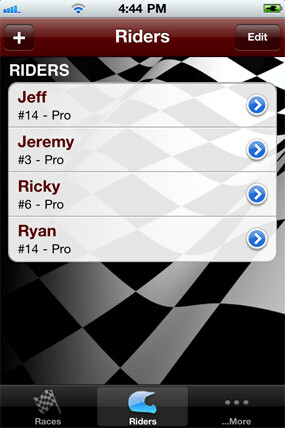 Enter riders and bikes once and then link as many riders and bikes to a practice session or race as you want to. 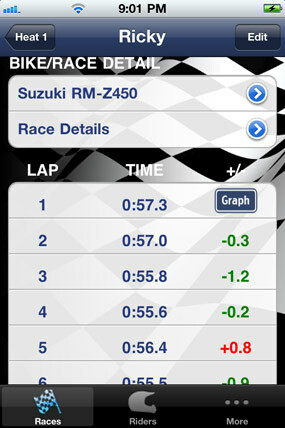 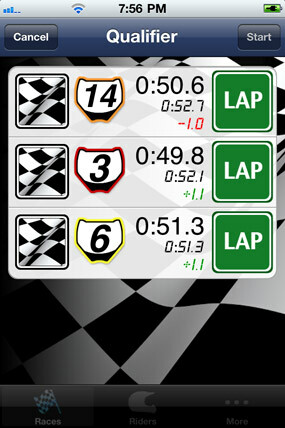 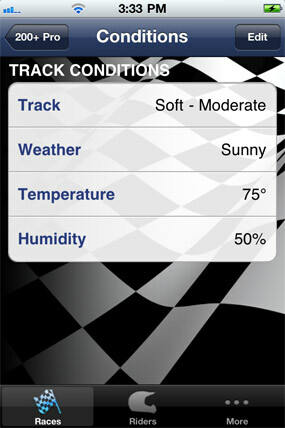 Capture lap times and view the results in any of three graphs. 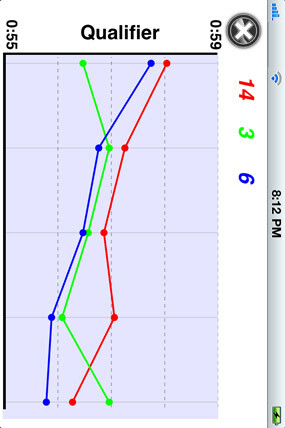 View graphs of a riders results for each moto or heat that they have finished, or all riders in a moto or heat race that has been run. 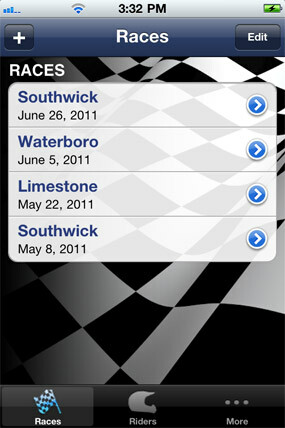 Race Tracker MX will allow you to store information about the tracks you race at and their schedules. 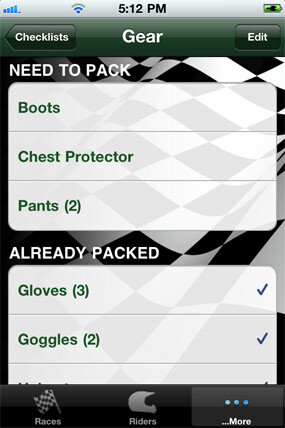 Create checklists of items to bring to a race. 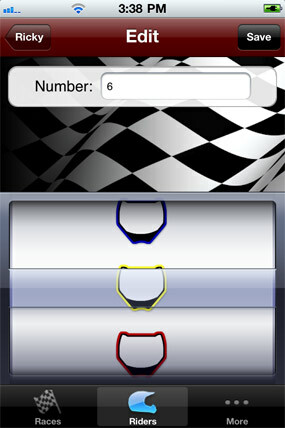 Store your favorite motocross websites and it also comes with an integrated help section.